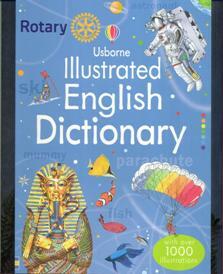 It is the ‘Usborne Illustrated Dictionary’ which retails for approximately $30. It is not a traditional dictionary, but rather one that contains more than 1,000 colourful illustrations. Since inception, more than 100,000 have been distributed throughout New Zealand equating to a retail value in excess of $3 million. The project, which is an on-going one every year, fits well with Rotary International’s worldwide goal of ‘literacy development’. It has the support of all the District Governors throughout NZ. 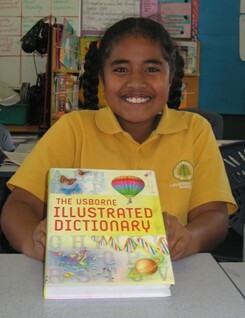 As expected not only is the dictionary being used by the Year 4 students, but that, by getting it into their homes, Mums and Dads come to use it as well. It is a great literacy aid in homes where reference books are often few and far between. This is another great Pakuranga Rotary project. It has helped tens of thousands of children throughout the country as well as many in the Pacific Islands. More detailed information on the project is available on request via the contact-us page.